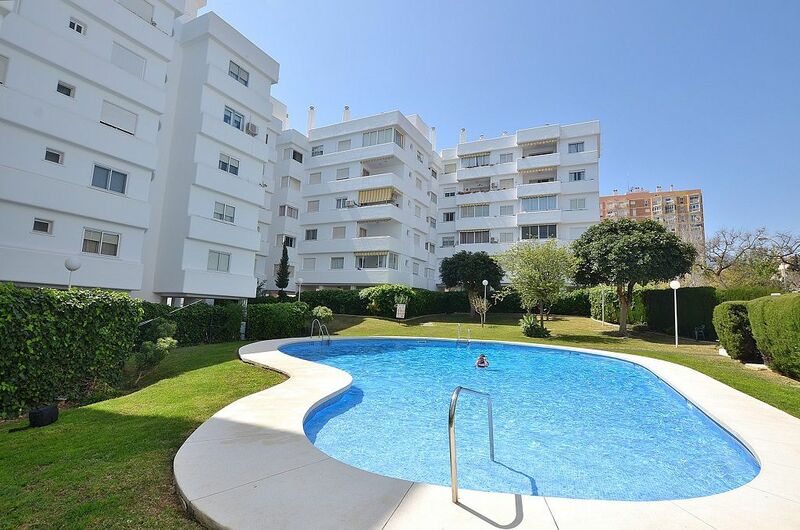 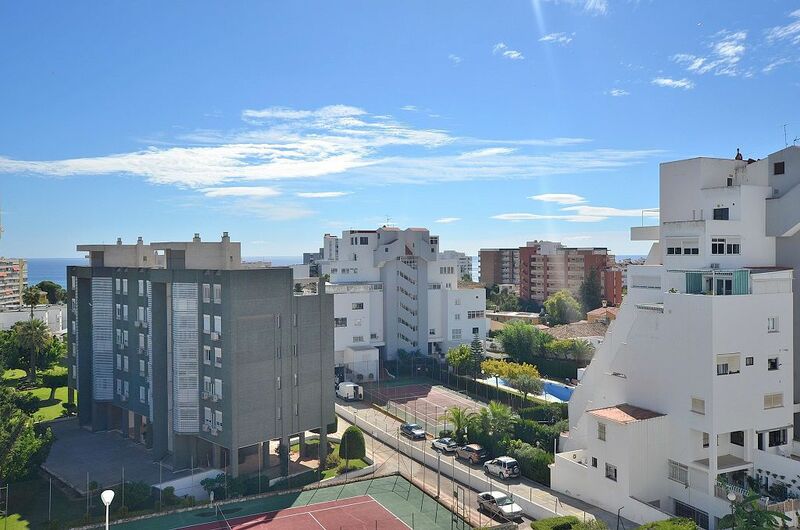 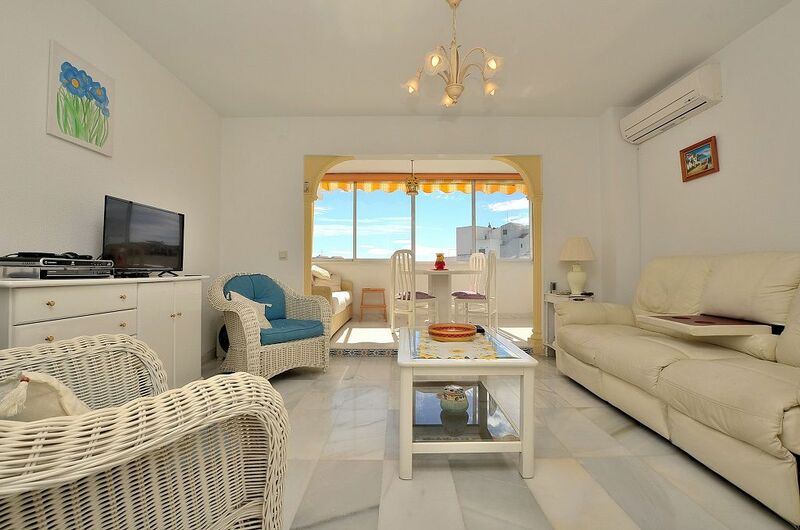 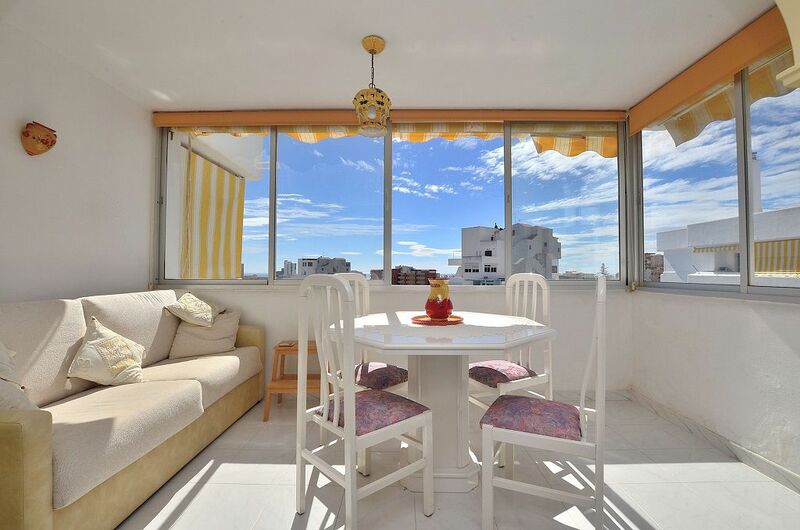 APARTMENT IN LAST FLOOR WITH BEAUTIFUL VIEWS located in Benalmádena Costa, in a beautiful complex with 2 swimming pools, large gardens and community parking. 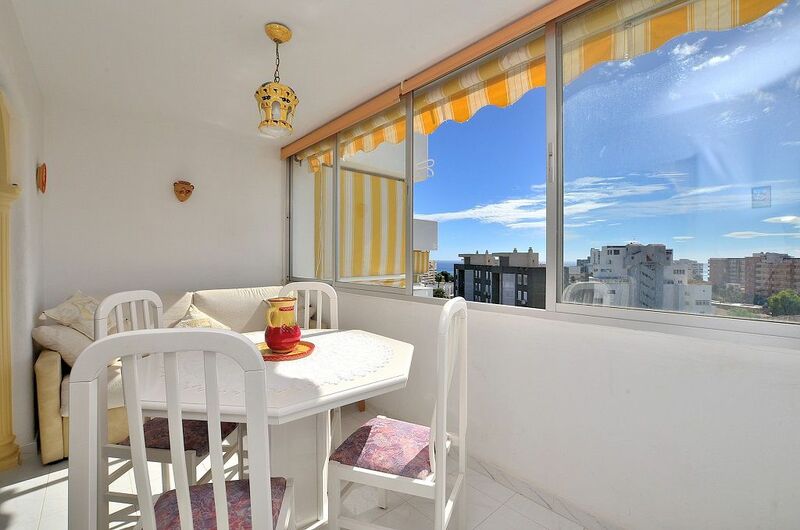 9 m2 terrace facing southwest with partial sea views. 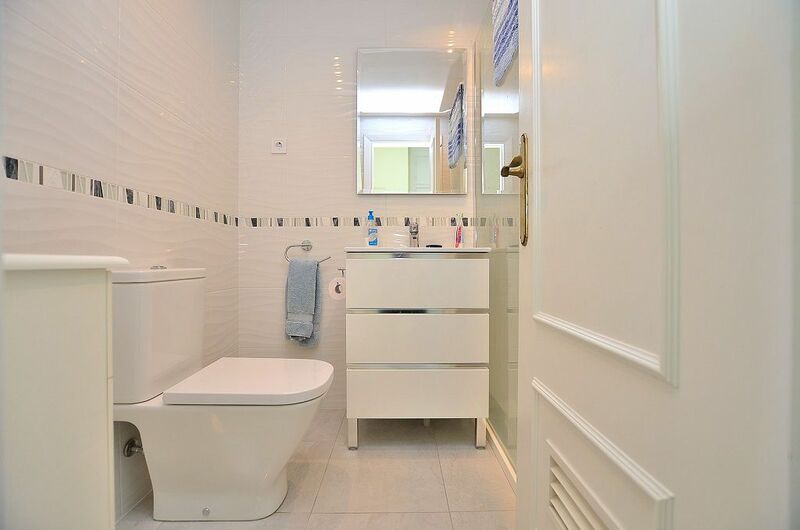 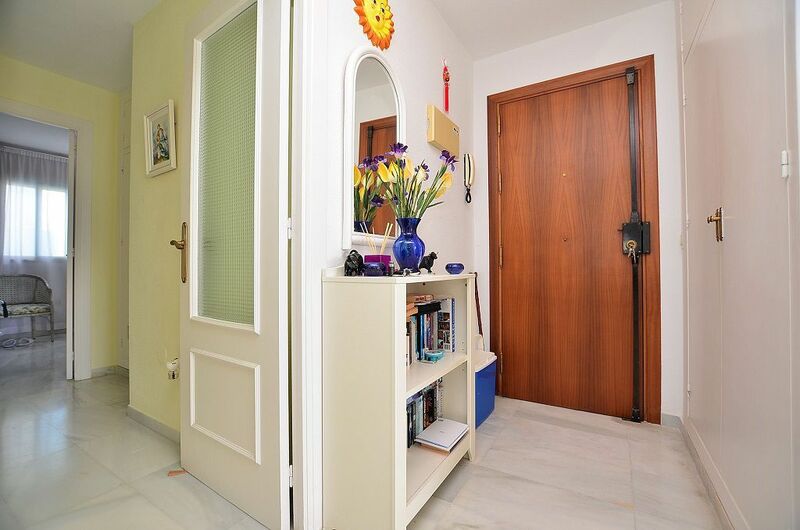 Very sunny and bright apartment in impeccable condition with marble floors, air conditioning in living room and fully renovated bathroom. 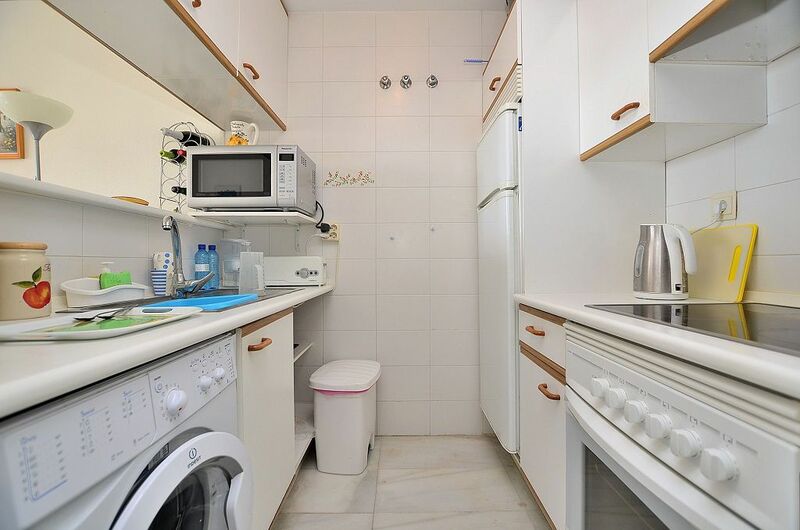 Close to all kinds of shops and services. 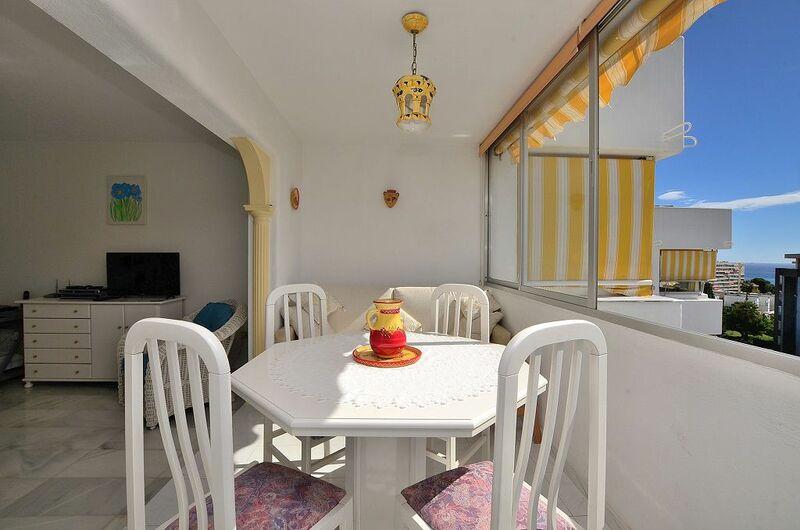 Only 700 meters away from the beach.